Wear gloves to protect your nails if you are doing tough jobs like household cleaning, gardening, or hobbies that are rough on your hands or using harsh chemical products. Do not use your nails as a tool. We all have used our nails to peel off labels or unfastening a key ring, but using your nails this way can easily cause damage. Take a moment to find another tool for the task, and you will save your manicure. Be careful when using sun tan oils or insect repellent as many of these products contain DEET which can cause damage to the shellac color. Use CND Rescue Rx or Solar Oil daily (designed to be used with Shellac) and also use a hand and and body lotion daily to prolong the life of your Shellac and keep your natural nails and the skin surrounding them healthy, moisturized, and flexible. 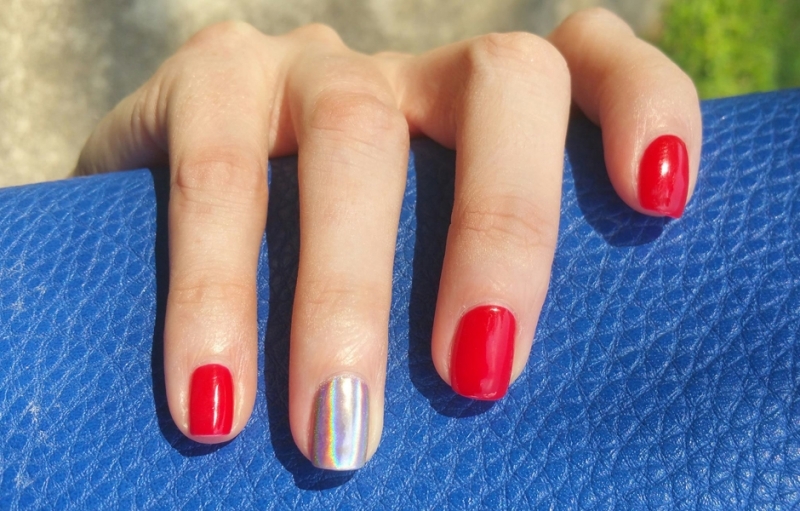 If you do notice any lifting or peeling of your Shellac, resist the temptation to pick or pull at the lifted area as this will cause the lifting to increase and could even damage your natural nail. Contact us for a repair on the nail that is lifting or peeling. After about 14 days (depending on how fast your nails grow) you’ll start to notice a bare nail area around your cuticles as your natural nails grow longer. At that point you should make an appointment to visit Polished.